Daily Illuminator: Fun With Rarities In The Desolation Of Blarg! April 11, 2018: Fun With Rarities In The Desolation Of Blarg! The next Munchkin Collectible Card Game set, The Desolation of Blarg, is set to darken our doorsteps in late May! This first expansion to the Munchkin CCG adds all-new cards for even more depth and strategy. Yes, due to a randomization error, the first expansion will be quite a treasure trove of rare cards! While there is a small chance that a pack may not include a rare, a majority of boosters include multiple rare or higher cards. For those chasing complete collections or playsets of the high-rarity cards, this first printing is the perfect time to pick up a box or two of boosters. 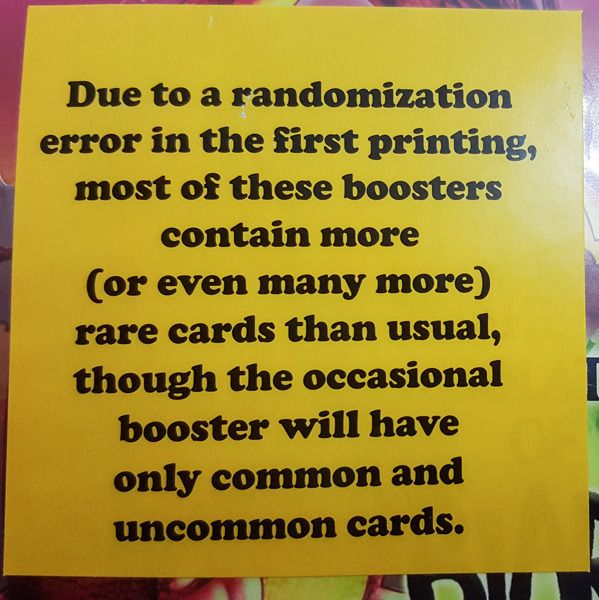 This will affect the entire initial print run of boosters, but starting with the second printing (coming a few weeks later), booster packs will revert to their normal rarity scheme: 12 cards, at least one of which will be rare or higher. We think it'll be a fun treasure hunt for fans who may have had trouble finding those same hard-to-get cards in the first set. Make sure you preorder The Desolation of Blarg early with your friendly local game store so you can get in on the silliness!